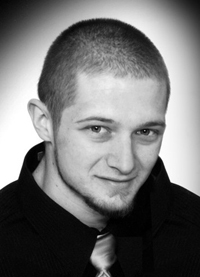 Christopher Thomas Johnson, 28, of Idaho Falls, passed away on Jan. 24, 2013, at Eastern Idaho Regional Medical Center. He was born Dec. 1, 1984, at Hailey, Idaho, to Thomas Jerald Johnson and Wendy Diane Garner Johnson. He grew up and attended schools in Hailey. In 1997, the family moved to Idaho Falls where he graduated from Idaho Falls High School in 2003. He married Angel Simpson in Idaho Falls. They were later divorced. He worked as a custom painter in the construction industry. Christopher was a member of the Catholic Church. He enjoyed cars, electronics, drawing and snowboarding. His greatest joy was his children, whom he loved very much. Christopher was kind and sensitive and always willing to lend a helping hand. Survivors are his parents, Tom and Wendy Johnson of Idaho Falls; son, Kaden Johnson, and daughter, Karli Johnson, both of Idaho Falls; sister, Rachael (Forrestt) Payne of Ammon, Idaho; grandfather, Burt (Barbara) Garner of Idaho Falls and grandmother, Ellen Johnson of Twin Falls, Idaho; and many aunts, uncles, and cousins. He was preceded in death by his grandfather Jerry Johnson. He will be dearly missed. Private family services will be held at a later date. Arrangements are under the direction of Wood Funeral Home, 273 N. Ridge in Idaho Falls. Condolences may be sent to the family online at www.woodfuneralhome.com.